The New York Daily News reported this week that Yemen released 170 al-Qaida terrorist suspects after they signed pledges against terrorism. And BBC News reported that Indians outraged at an attack on women for drinking in a bar are sending underwear to a right-wing activist group. Meanwhile, Newsweek Magazine reported in a story titled “We are all Socialists Now,” that in many ways the U.S. economy already resembles a European one and that as boomers age and spending grows, America will become even more French. Pundits are debating whether getting terrorists to promise they’ll be good, embracing socialism, and resisting terror by sending undergarments through the mail, is enough to fix the economic and ethical challenges we face in today’s world. 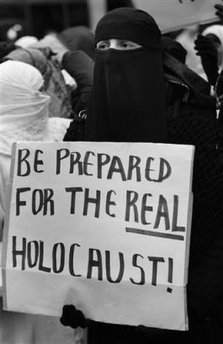 The New York Daily News reported that Yemen released 170 men it had arrested on suspicion of having ties to al-Qaida, security officials said, two weeks after the terror group announced that Yemen had become the base of its activities for the whole Arabian peninsula. The men were freed Friday and Saturday after signing pledges not to engage in terrorism — a strategy the Yemeni government has often used with those suspected of fighting in militant causes abroad. Elements of al-Qaida have long found a haven in Yemen’s remote hinterland. Last month, Saudi al-Qaida fugitives in Yemen and their Yemeni associates announced in an Internet video that they were joining forces to form a single group. On Saturday, Saudi Arabia issued a list of 85 most wanted living abroad that included two Yemenis. Many of the Saudis on the list are suspected of hiding out in Yemen as well. The officials who announced the release spoke on condition of anonymity because they are not allowed to speak to the press. BBC News reported that Indians outraged at an attack on women for drinking in a bar have gathered together to send a provocative gift of underwear to right-wing activists. More than 5,000 people, including men, have joined the Facebook group, which calls itself the Consortium of Pub-going, Loose and Forward Women. 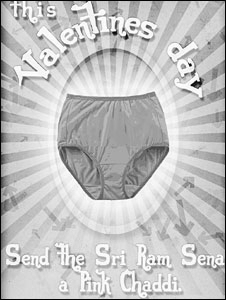 The group says it will give the pink underwear to Sri Ram Sena (Army of Lord Ram) on Valentine’s Day on Saturday. It was blamed for the bar attack in the southern city of Mangalore last month. Pramod Mutalik, who heads the little known Ram Sena and is now on bail after he was held following the attack, has said it is “not acceptable” for women to go to bars in India. Last month’s attack in Mangalore, which was filmed and then broadcast on national television, shocked many Indians. Television pictures showed men chasing and beating up the panicking women. Some of the women, who tripped and fell, were kicked by the men. Women’s groups strongly condemned the attack, which was described by the country’s Women’s Minister Renuka Chaudhury as an attempt to impose Taliban-style values. The Hindu nationalist BJP government in Karnataka state distanced itself from the attack. It said it had nothing to do with Sri Ram Sena. 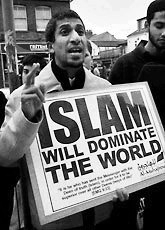 But a BBC correspondent says that right-wing Hindu vigilante groups loosely linked to the BJP are active in many parts of India and have in the past targeted Muslim and Christian minorities as well as events such as Valentine’s Day. Newsweek Magazine reported that in many ways the U.S. economy already resembles a European one and as boomers age and spending grows, America will become even more like the French. In essence, everyone is becoming socialist. The article went on to say that the U.S. remains a center-right nation in many ways—particularly culturally, and our instinct, once the crisis passes, will be to try to revert to a more free-market style of capitalism—but it was, under a conservative GOP administration that we enacted the largest expansion of the welfare state in 30 years: prescription drugs for the elderly. People on the right and the left want government to invest in alternative energies in order to break our addiction to foreign oil. And it is unlikely that even the reddest of states will decline federal money for infrastructural improvements. Authors Jon Meacham and Evan Thomas wrote that if we fail to acknowledge the reality of the growing role of government in the economy, insisting instead on fighting 21st-century wars with 20th-century terms and tactics, then we are doomed to a fractious and unedifying debate. The sooner we understand where we truly stand [we’re all socialists], the sooner we can think more clearly about how to use government in today’s world. Whether we like it or not—or even whether many people have thought much about it or not—the economic numbers clearly suggest that we are headed in a more European direction. A decade ago U.S. government spending was 34.3 percent of GDP, compared with 48.2 percent in the euro zone—a roughly 14-point gap, according to the Organization for Economic Cooperation and Development. In 2010 U.S. spending is expected to be 39.9 percent of GDP, compared with 47.1 percent in the euro zone—a gap of less than 8 points. 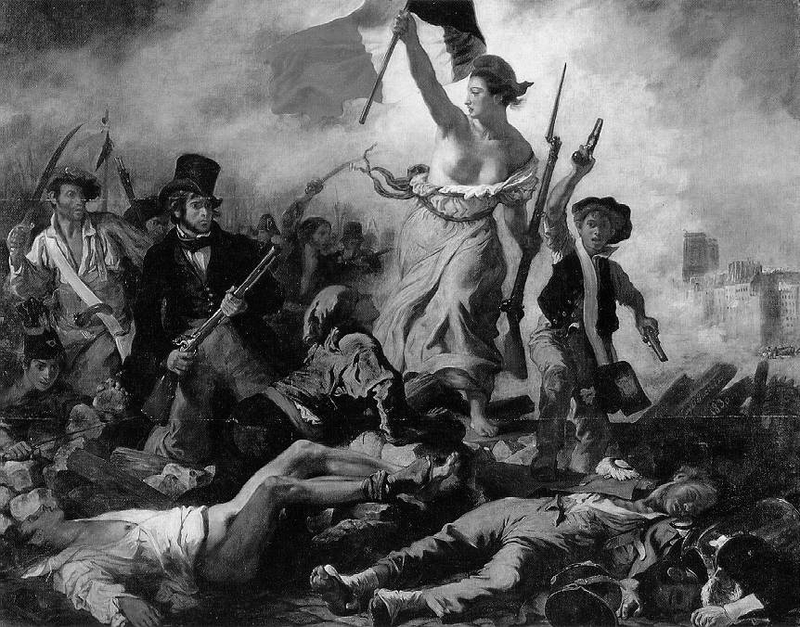 As entitlement spending rises over the next decade, we will become even more French. Bush brought the Age of Reagan to a close; now Obama has gone further, reversing Bill Clinton’s end of big government. Some people say that entropy and chaos are part of nature and should be embraced and not resisted. In other news, Deseret News reported Sunday that Pentagon auditors say there is a possibility that the Army is missing nerve gas because there are discrepancies in records between how much chemical weapons agent was initially stored, and how much of it was later destroyed at Utah’s Deseret Chemical Depot and other bases nationwide. The auditors report said, “The (Army Chemical Materials) Agency didn’t have complete assurance that amounts recorded in the system were accurate, which increased its chances for heightened levels of program scrutiny by federal, state and international organizations that have a vested interest in the elimination of chemical weapons.” Such words can cause shivers among Utahans who remember such things as the death of thousands of sheep in Skull Valley in 1968 that were blamed on nerve gas tests that went awry at nearby Dugway Proving Ground, and Skull Valley residents who have blamed mysterious illnesses on exposure to tiny amounts of nerve agent from such tests. No word on why they’re bothered since chaos is natural, or if they’re going to protest by mailing underwear to military officials.